Timbuk2 is a brand and retailer of messenger and other styles of bag, based in San Francisco, California, USA. The privately held company has stores in the same city, as well as Seattle, Washington, and also sells its range online at Timbuk2.com. Here you can get discounts off your orders by using Timbuk2 coupons, which we update here at Coupofy whenever new offers and deals become available. Patti Cazzato serves as CEO and has been with the company since 2014. It is currently owned by private equity firms VMG Equity Partners and Capital Logic Partners. Timbuk2 was launched in 1989 as "Scumbags." Its founder Rob Honeycutt was a bike messenger at the time and wanted to create a practical but stylish bag to aid other messengers. A year later he renamed the company Timbuk2 after American rock band Timbuk3. What set Timbuk2 apart from the competition was its made to order approach. The Classic Messenger design could be easily modified for any purpose. The product was first sold in bike shops in the 90’s, then their own outlets, and in 1999 the online store was launched. Since then the product range has expanded, as has its number of retail outlets which now total 7. Timbuk2.com stocks a wide variety of bags and luggage for working, biking and travelling. These include Messenger Bags, Laptop Bags, Backpacks, Duffel Bags & Rollers, Shoulder Bags & Totes, and much more. The store also stocks a range of clothing and accessories including t-shirts, jackets, jeans, socks, hoodies, blazers, and gloves. As well as wallets & packs, extra bag straps, phone covers, bike lights, and more. Most styles of bag are customizable in the customize section. All you have to do is click the item and then you can choose from a number of colors and patterns, which can be applied to various parts of the bag. 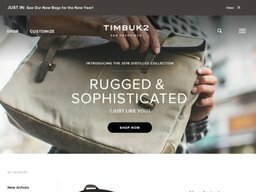 Aside from the customization element Timbuk2.com functions like any other online store, with a basket and checkout system. Here you can redeem any Timbuk2 coupon code by entering it in to the designated promo box. If it's for a discount you should then see your total order value drop. Discover credit cards for their online purchases. The site caters to both US and international customers, with shipping prices varying based on the overall order value. US customers qualify for free economy shipping on all orders over $75, which takes between 3 and 6 days to deliver. Under this threshold shipping costs $5.95. 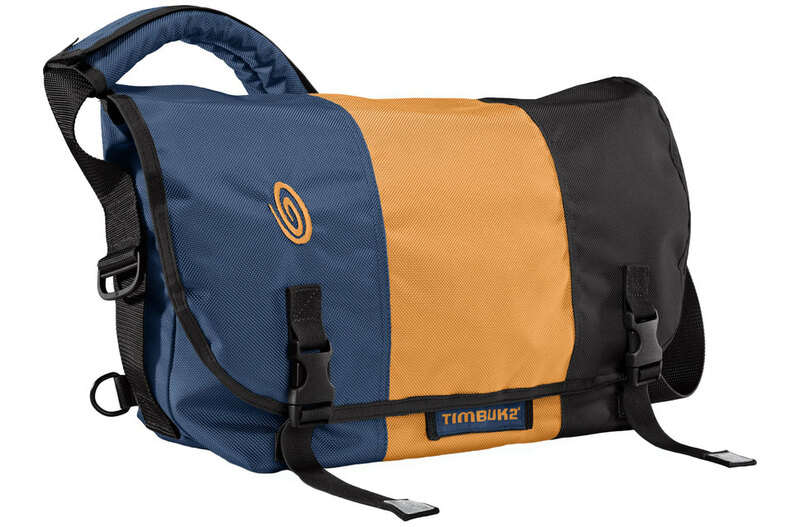 Occasionally a special Timbuk2 coupon will allow you to get free shipping regardless of the order value. Other options include ground shipping at $9.95, and 2 day shipping costs $17.90 for orders up to $75 and $21.90 for orders over. Next day is $21.90 and $25.90 respectively. International shipping carries a flat rate of $35 for expedited (5-8 days) and $50 for express (3-5 days). Returns are accepted for refunds and exchanges no questions asked within 30 days of purchase, so long as the items and in their original unworn condition. All orders are shipped with a returns form but you will have to pay for your own return shipping. Custom made items are not eligible for returns unless they arrived defective. Obviously you will only be refunded the actual amount you paid if you used a Timbuk2 promo code.